Even without children, a divorcing couple has a lot to consider when pursuing a divorce in Colorado. The court will not grant a dissolution of marriage, as it is known in Colorado, unless the couple meets the residency requirements and the marriage is irretrievably broken. Depending on the circumstances of the marriage and the financial resources of both spouses, the court may determine how the marital property will be distributed and if one spouse will receive alimony, referred to as spousal maintenance. In Colorado, the divorce process begins with the filing of a petition for dissolution of marriage. Colorado law requires that at least one spouse has lived in the state for more than 90 days. You must file the petition in the district court in the county where you or your spouse live. After filing the petition, you are responsible for serving your spouse with a copy. You must provide proof of service to the court, which states that the papers were served on your spouse by an adult other than yourself, or that your spouse waived service. After receiving the petition, your spouse has 20 days to respond if he lives in Colorado, or 30 days if he lives out of state. The divorce will not be final until at least 90 days have passed since your spouse received the petition. Colorado is a no-fault state, meaning that couples may only seek a divorce if the marriage is irretrievably broken. The petition for dissolution does not place blame on either spouse for causing the divorce. The couple may agree that the marriage is broken, or one spouse may disagree. If one spouse alleges that the marriage is not broken, the court will hear evidence about the circumstances leading up to the time of divorce. The court has discretion to order counseling for the couple, and to have the couple return to court after a period of time. During divorce proceedings, Colorado courts follow the guidelines set out in state law for equitable distribution when dividing marital property. Marital property generally includes any property acquired during the divorce that was not a gift or inheritance for one spouse. 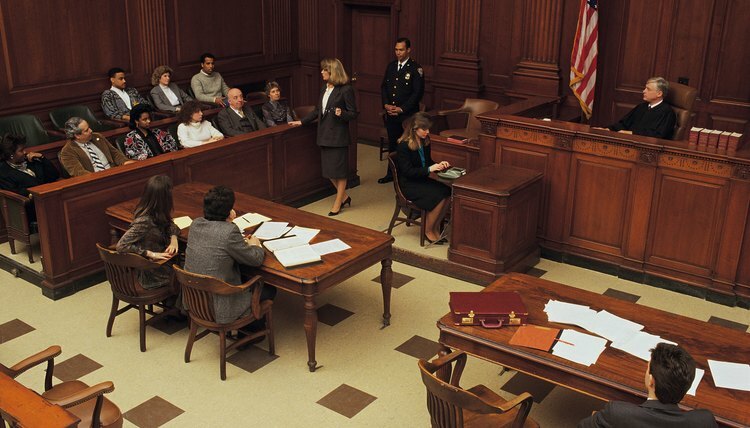 The court may divide the property equally and then adjust the distribution based on a number of equitable factors, such as the financial circumstances of each spouse, the contributions made during the marriage and any other factors the court deems relevant to determining what would be a fair distribution. Depending on the combined income of the couple and the financial needs of the lower-earning spouse, the court may award spousal maintenance to one spouse. If the combined income of the couple is less than $75,000, as of 2012 state law, the court will usually award temporary maintenance if one spouse earns a lot more than the other spouse. But if the combined income is over $75,000, the court will award temporary or permanent maintenance only if one spouse does not have the personal resources to reasonably meet her financial needs. To determine the amount and duration of spousal maintenance, the court may consider a number of factors, including the length of the marriage, the financial resources of each spouse and the standard of living enjoyed during the marriage.